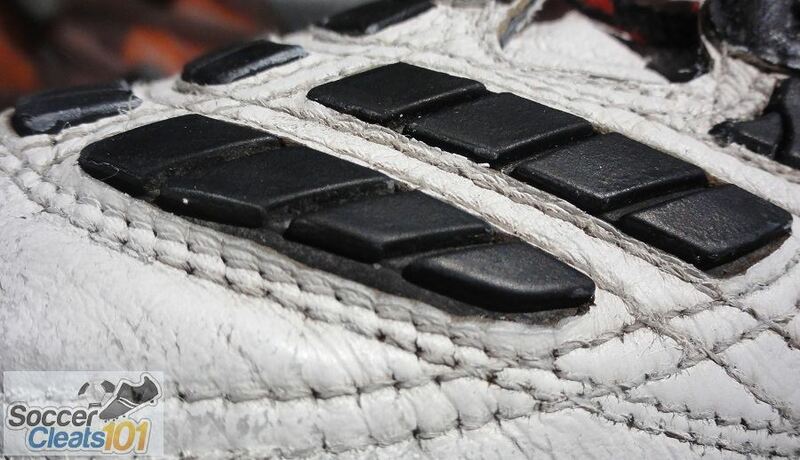 For most Predator enthusiasts, this 1998 release stands amongst the top of the legendary range. It is the Adidas Predator Accelerator to be exact and I took the opportunity to pick up a pair a few weeks ago to feature in the Cleatology series. 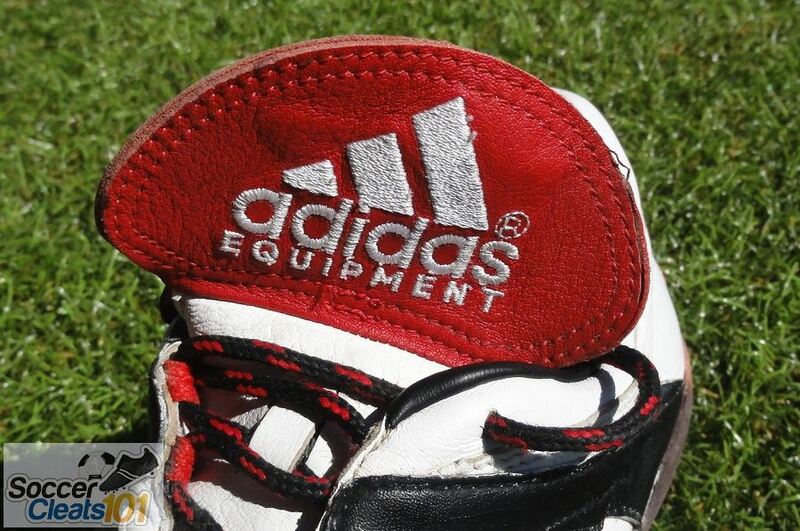 The Accelerator was the boot released by Adidas for the 1998 World Cup in France. At the time, Zinedine Zidane and David Beckham were the lead players showcasing the boot. Zidane scored twice in the finale to help France win – although both goals came from his head. My personal experience with these boots started out on a negative note, but thankfully it had nothing to do with actual performance. I wasn’t fortunate enough to be able to buy a pair when they were released, so instead I was left watching several teammates sporting them through their first season. Eventually, a pair found its way into my gear bag but it was closer to 2000 when the range had moved onto the Precision. The pictured version is the White/Black/Predator Red colorway – head down below if you want to see more in-depth images and details. For those of you interested in finding a pair, eBay’s “Predator Accelerator“ listings is the place to look – although don’t expect to find any pairs for under $250! When they were released, the one thing I do remember is how good they looked and how much I wanted a pair! 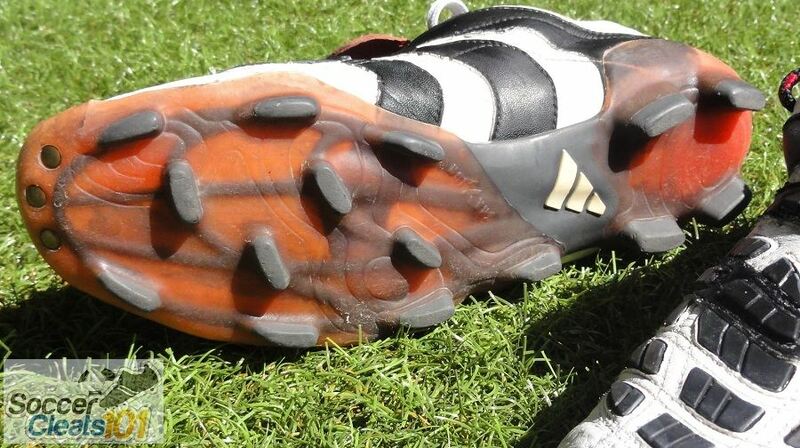 When it came to performance, what a great boot they were and they really do still live up to the hype of being one of the best Adidas Predators released. The Predator Zone was composed of specifically positioned rubber panels through the forefoot that allowed for added power behind shots. A slight negative was the floppy tongue and I’m not sure anyone ever really figured out what exactly to do with it. Wrapping and tying the laces over it was the best option, but the large tongue still had a tendency to fall out. On a final note, the pair pictured were not brand new when I purchased them. In fact, they had seen their fair share of use. But with a little TLC and some intricate detailing, they have been restored to “showcase” state, and by Showcase I mean these are already sitting on a shelf for viewing purposes only. 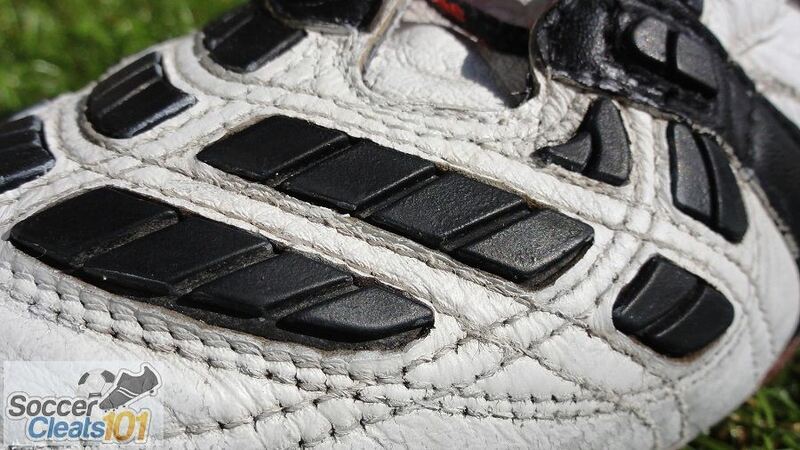 Where does the Accelerator sit on your top Predator list, and were you ever fortunate enough to own a pair? Share your stories below! are we going to have a chance to purchase these of you or win them…ill buy them right away…hit me up byrne!!!! They need to re-release these. it'd be nice for any of the brands to re-issue some past boots now and then "a la air jordan's". I played for Cal North’s State ODP team, club ball in Sacramento, and college for a season. My favorite boots of all time are still the old school Puma Kings (King Top DI). However, for Predators, these and the Precisions were my favorite (although the Precisions had problems with the studs snapping off and the element ripping). I scored 47 goals my senior year of high school with the Precisions (and my trusty Puma Kings). My junior year I wore the Accelerators (SG soleplate) and Puma Kings and scored 36 goals. 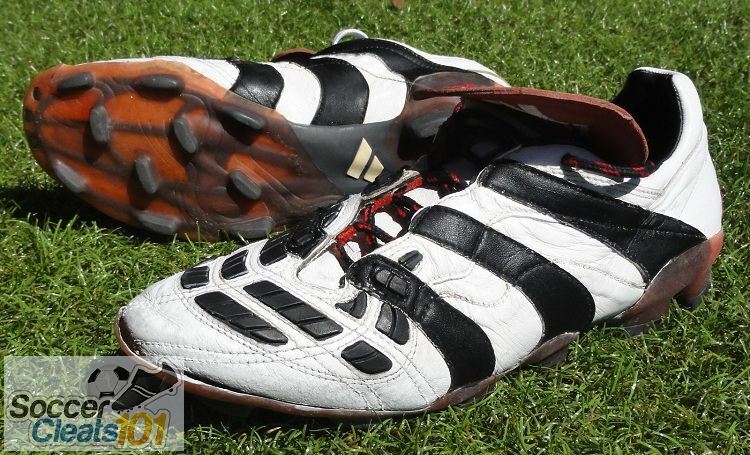 The Accelerators were great boots. 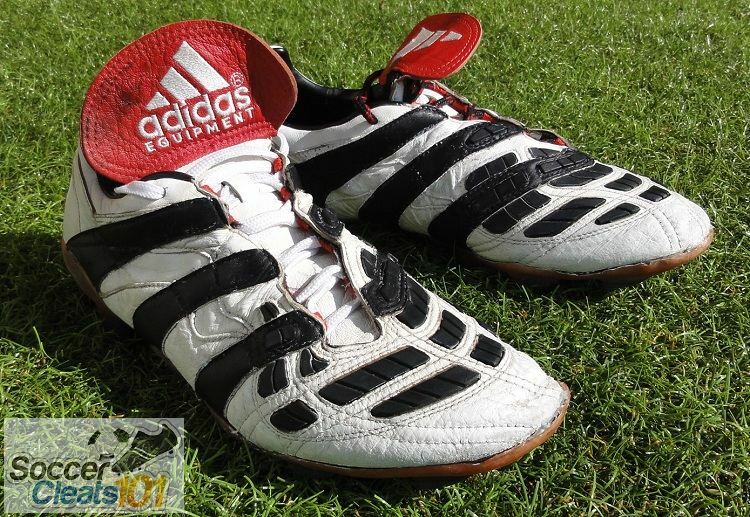 Except for the plastic on the toe ripping up after every game, I’d say they were one of my favorite pairs of adidas boots ever. i had a florescent green model.. missed the boot.. wore it untill theres no studs left.. the leathers on these things ae tough.. it outlasted the studs.. sad on the day that i had to let it go.. held on to it for 2 extra years.. ill buy 1 in a heartbeat id they decided to reproduce the boot..
ive worn many predetors after, yet.. this is a predator.. nuf said.. I had a red pair and didn't realize how nice these were until over 10 years later and many random pairs of "other" boots! These here are classic football boots, (I don't like to use the word 'cleats' because it has no cultural resonance for me and also sounds like a venereal disease.) I think these are the incarnation just prior to Adidas’ decision to ruin the Predator range altogether. I do wonder what in shitting-crikey possessed their designers to ‘evolve’ this unique design in such a way to produce the modern version. The modern boots have become so stylized as to be nothing more than fashion accessories, like having an arm-tatoo or a stupid Mohawk haircut or doing a patented celebration involving a heart hand gesture. It is like they took a successful and good design and turned it from being a functional piece of cutting edge sportswear, into some kind of metro-sexual pseudo training shoe come like heal and arch of the foot protector that was also designed in a wind tunnel and approved by Kanye West. When they came out Predators were about power and swerve. 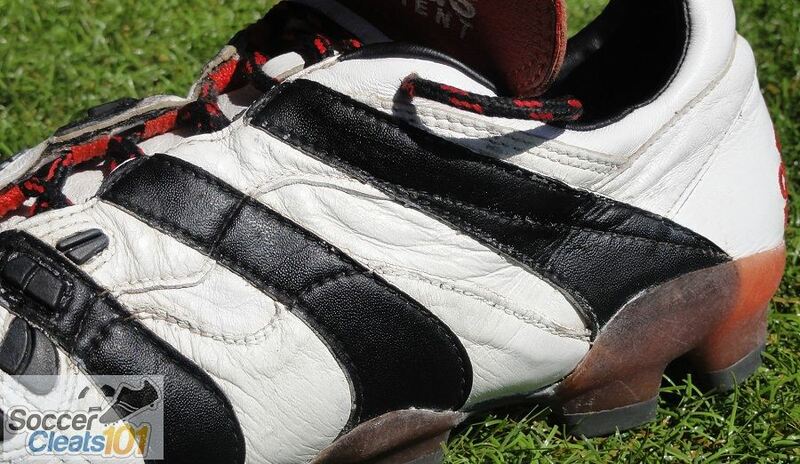 They were about transforming your foot into some kind of ballistic weapon, they were an ergonomic and chevroned precision tool, the top professionals, attacking players, freekick and corner specialists actually wanted to wear them to and not just because they were being paid extortionate amounts to do so, they wanted to improve their dead ball delivery. Nobody talks anymore about the difference Predators make to your first touch, nobody bothers anymore to measure the increased power you can get from them – they just stick pointless strips of plastic in areas which have been shown in focus groups to test as ‘funky’ and then reinforce the studs or move them about a bit and claim its better that way. Predators used to be a big talking point in the professional game, now they are just a faint voice in an unruly crowd. Hello, I have a pair of these Adidas Predator Accelerator size 9.5 us. White in pretty good condition If anyone is looking for a pair. Used condition 9.5 us size White Adidas Predator Accelerator. if you still have them in good condition, i might be interested my friend!